This is tricky because I have some opinions of "Youtuber books" that aren't very "positive". Add in some confliction because Dan and Phil are the only two youtubers I have remained subscribed to for the past six years. Then multiply this reviewers recipe, with a dash of- how do you review a book like this? Yet, I manage to conclude it with the full five stars? This book was completely, one hundred percent, Daniel James Howell and Philip Michael Lester (with the tad input from Dil Jamicael Howlter.) Every page was a new onslaught of giggles. Until, I reached the final page- and then, Mr. Howell, you made me cry by the bucket load. Ergh, that little speech. It felt so final and I don't like that. At all. Like this was the final thing to give us- in the tiny universal "Phandom". I want a film... I'll get more onto that later. Although, both are high achievers of the English sector (educationally wise) they still kept their voice. By that I mean, it was clearly them writing every word, discussing every aspect. I could hear Phil's Northern cheer and Dan's sarcasm with so much clarity it felt like I was watching another 5 hour video. They could have easily found theirselves sounding really essay-ish and off putting. 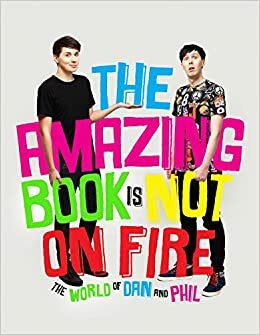 Dan and Phil managed to achieve the compressed 6 years of friendship (and for Phil, almost 10 years of video making) in a complete 224 page book. To go for the cliché: It was a rather magical experience. Even complete with the email Dan recieved after emailing Delia Smith about co-hosting a cook show. I think this is hugely the reason for my rating. So very Dan. So very Phil. Although, I won't fail to mention the lack of Malteasers (or Danteasers, whatever you prefer) and Placenta. Hmmm.... was that his choice or his editors. I want to quickly mention the beauty of the book- the layout, in short. Oh my! EVERY page was a new journey. I was interested in how this would play out, just because they have two different styles. Dan's aesthetic is monochromic, where as Phil's is bright colours, bold and japan. (Although, that'a not the point. If you watch these dorks, you'd know what I mean.) I was concerned that these two styles would clash and take away the enjoyment. 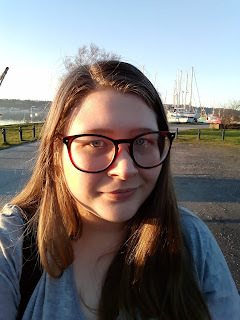 I can safely say, my eyes are still intact- well apart from the glasses I still need. The only thing I think I could say about this book is I wish for more. Stories that they perhaps would never make into videos as a sort of bloopers. I mentioned "I want a film". What did I mean by that I here you cry. I'll mentipn only one thing: "What really happened in Vegas?" I mean come on guys. Did you really think we'd believe all that? "Photographic evidence" more like took some screen shots from a video (that still somehow exsists) of two really drunk guys; that when they looked back over, realised how drunk they really were. That sounded more harsh than intended.